Woori and NH Financial Group are seeking to acquire a real estate investment trust (REIT) to strengthen their non-banking sector businesses. An REIT is a firm that operates various income-producing real estate ranging from office and apartment buildings to warehouses, hospitals, shopping centers, hotels and timberlands. According to investment bank sources, Woori Financial Group is in talks with Kukje Asset Trust to acquire the latter. The real estate trust has long been said to be included in the financial group's shopping list to diversify its portfolio after attaining a holding firm structure in January. "With the goal of drawing up an optimum business portfolio, we will seek M&As with comprehensive and long-term perspectives," a Woori Financial Group official said. 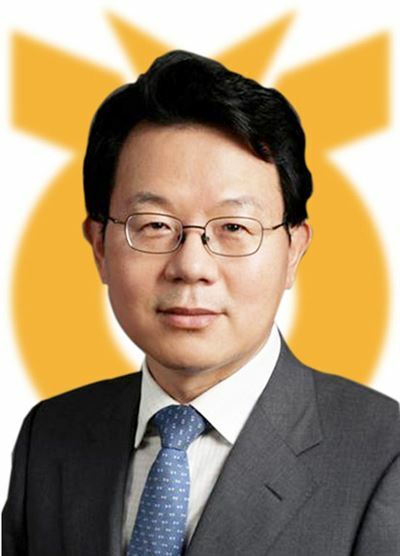 Under the aim to become the nation's leading financial group in two to three years, Woori Financial Group Chairman Sohn Tae-seung vowed to stretch the firm's business beyond the banking sector. During his New Year's address, Sohn said he will actively look for promising financial companies to acquire them. Woori Financial Group's total assets are estimated at 349.8 trillion won ($311.1 billion) with its six core units, including Woori Bank, and 17 second-tier subsidiaries. Separate from its M&A negotiation with Woori, Kukje Asset Trust recently started talking with NH Financial Group that also seeks acquiring other financial firms to strengthen its non-banking businesses based on the belief the firm's two-track approach could raise its value in negotiation with both financial groups. NH Financial Group is the nation's third-largest financial holding firm after Shinhan and KB with total assets worth about 420 trillion won. "NH is actively engaging in its talks with the trust," said an industry source. "Kukje's valuation could soar further if the two financial groups engage in an M&A race to win the firm." Woori Financial Group already owned a 6.54 percent stake in Kukje Asset Trust through its banking unit, and now plans to acquire a 50 percent stake plus one share in the trust including its stake owned by Woori Bank. NH Financial Group has newly jumped into the M&A market to diversify its business portfolio. It is said to look for promising firms worth about 200 billion won to 300 billion won to strengthen its non-banking sectors.